I have been an employee most of my working life. I left university many years ago after graduating with an astonishingly useless degree in - ahem - German Language & Literature, and another year spent earning another qualification based on studying Religious Studies and Film*. I was very well qualified to drift through life, and, as it turns out in my 20s I was quite good at that. But the good thing about drifting through life not knowing what you want and what you are good at, is that you go a lot of places, work a heap of different types of jobs, work with and for people who are brilliant and people who are fools (and several who are a destructive mix of both). Fast forward 15-odd years spent as a marketer in companies large and small. This time last year, just for the pleasure of developing a new skill I started learning how to build websites using the website building platform called Squarespace. “They say you don’t need any technical skills, but actually, you do”, I told friends, possibly a bit too smugly. I really enjoyed learning to build websites for friends and family who needed them and approaching the website design process as a marketer – concerned not just about how the site looked and functioned, but also whether it measured up in a marketing sense. After hearing from several different people about websites projects that left them frustrated, dissatisfied and deeply out of pocket, I sensed an opportunity to throw off the shackles of employment (hooray!) and start helping people get smarter online. So I started savve. Before very long I realised that there might have been good reasons that I sometimes frustrated my bosses. I trust my gut instinct, even if I know it goes against best practice and the basic rules of marketing. Perhaps I am the fool! For starters, my business name, savve. Why on earth choose something that people may have no idea how to say? (It’s pronounced the same as ‘savvy’, in case you were wondering). Answer: because the name came to me at 4am one morning and kept me awake, I loved it. I knew I shouldn’t, I knew it was dumb of me, but I just really, really liked it (and still do). I liked the connotations of smart and savvy, I liked that it’s unique, I liked that it’s a name I could envisage becoming a strong brand. And I still think it might have been a poor choice but I justify it to myself by remembering that mistakes are the best teachers. 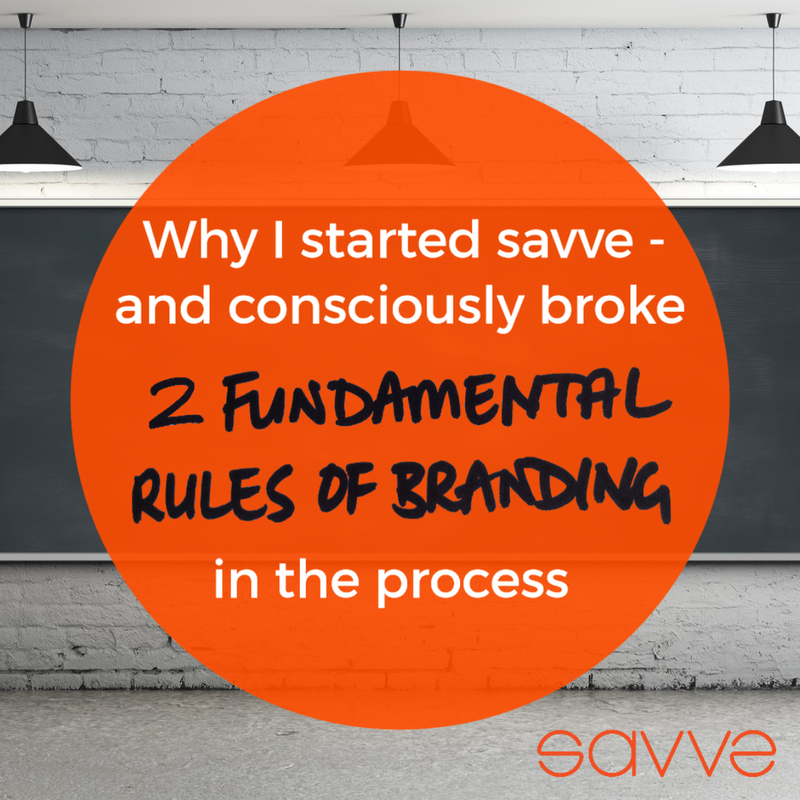 And talking of brand, what about the savve logo – why choose something that a few friends, but not all, told me apologetically that they found it difficult to read? Answer: because I decided that those friends might have left reading glasses at home (who needs enemies with friends like me?) or were just reacting to how the logo looked printed out on my poor quality home printer. Then I did a cowardly thing. I didn’t show the logo to anyone else, or print it out on a better printer because I really didn’t want anyone else to tell me it was too hard to read when I loved it so much. I would never advise anyone to do that, in fact I would probably give them a stern talk about how sometimes you have to sacrifice things you love if the feedback paints a very clear picture. My goal for savve is to make getting a smart website accessible, affordable and easy as possible for small businesses. My aim for this blog is to build a valuable resource for small businesses who need marketing or website help. My ulterior motive is to slowly rid the world of bad websites and meaningless marketing waffle (and that’s a whole other blog post in itself). If you have any thoughts on anything I’ve raised in this post, please let me know in the comments below, it would be great to hear them. I know you all have many, many other ways of spending your time so thanks for reading, it’s very much appreciated. *Actually, my education may not have led me on a direct career path in the way a law or dentistry degree might have, but I am a person capable of answering plenty of questions at a Quiz Night. Often my answers are even right.